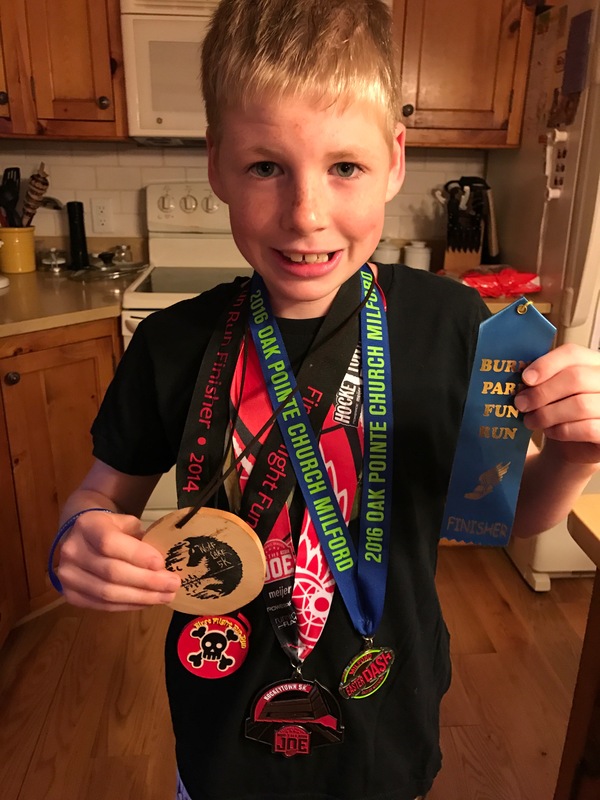 Bastien is feeling (rightfully) proud of his running accomplishments. Three 5ks this year! And a massive PR at his most recent, the Wolf Lake 5k. At 28:28 on the toughest of cross country courses he finished EXACTLY five minutes before me. Which is funny because he shouted at me when I crossed the line, “I’VE BEEN WAITING FOR YOU FOR FIVE MINUTES!” (I preferred this actually to the start of the race when he kept asking, “WHY ARE YOU RUNNING SO SLOW?!? ?” I digress. Mostly because he has a point. Proud of this kid.